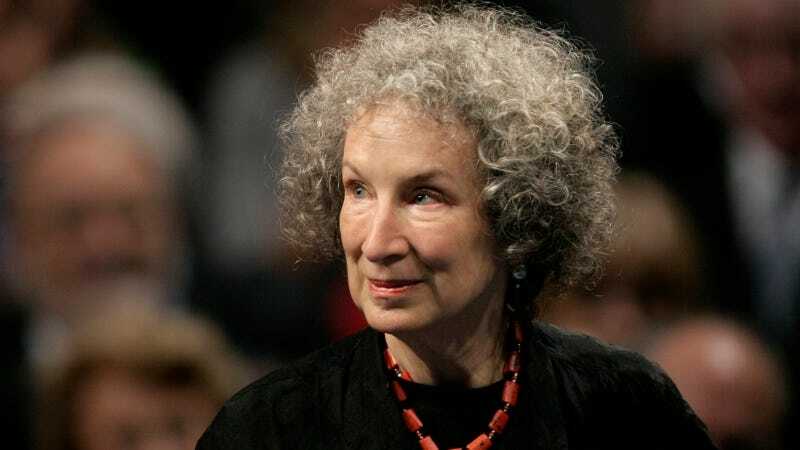 Hey fellow nerds, stop watching Agents of SHIELD for five minutes and appreciate the latest news from Margaret Atwood. Dark Horse comics announced earlier today that Atwood is writing her first graphic novel series, Angel Catbird. The plot might sound ridiculous, but if you quickly summarized the plot of Atwood’s MaddAddam trilogy, it would sound equally as silly. But Angel Catbird does sound like the writer is extending a familiar set of themes into a new genre. Atwood has always been interested in ecological destruction and its impact on individual identity. Plus, genetically spliced animals aren’t exactly new territory for Atwood; pigoons and mo’hairs still haunt my nightmares. Images via AP and Dark Horse Comics.